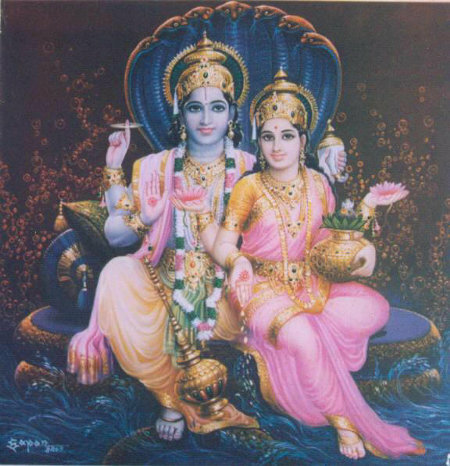 According to few hindu scripture, God Vishnu is a husband of goddess Lakshmi. Lard vishnu has differnt names Narayana, Lakshmi Narayana, Hari, Vishnuvu etc., In hindu religion Brahma, vishnu, Maheswara (Eswar) they called as Thrimuthulu. Lard vishnu has 10 Avatars (Avathars).